If you would like to donate to our rehabilitation efforts click on the button below and donate to our cause. You may contribute to GWMI’s efforts by gifting the supplies listed on our Amazon Wishlist at the link below. 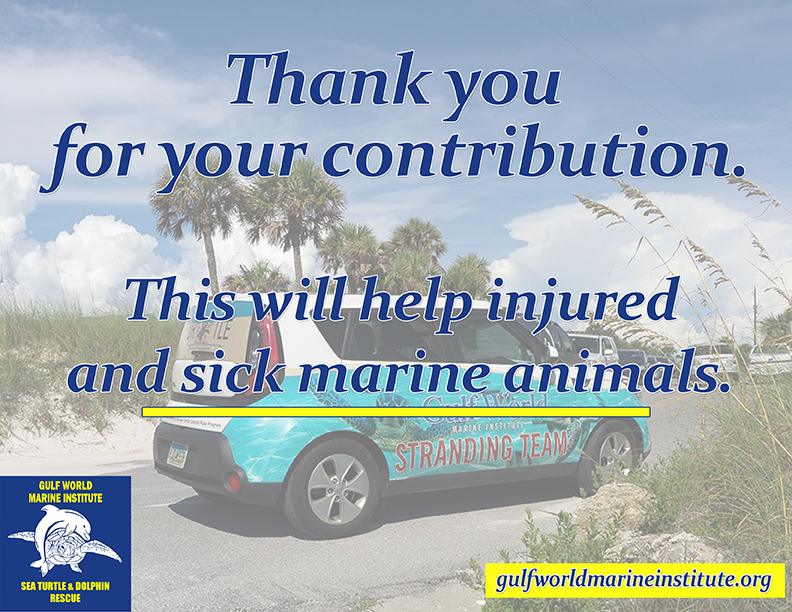 In addition, by shopping at Amazon Smile a contribution will be made to Gulf World Marine Institute. GWMI is a 501c3 non profit organization and your contributions are tax deductible. Your contribution will go towards the rescue and rehabilitation of marine mammals and sea turtles. The animal’s treatment time can vary in length and cost depending on the individual situation. Rehabilitation can be quite costly and every dollar donated is appreciated.